Due to being fully booked for dinner we only got to enjoy Blue Duck Tavern for breakfast on this trip. This of course was no problem because they really shine for breakfast. 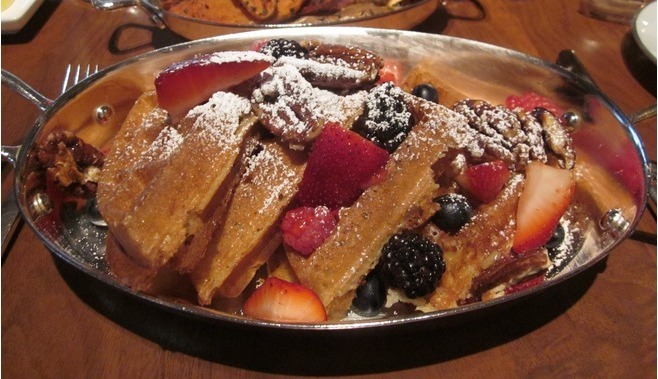 Currently this is my favorite breakfast I’ve ever had in the continental US. Indoor seating was the only thing offered on this cool late winter morning. We were lucky enough to have one of the seats right in front of the kitchen. The kitchen her e is open to the restaurant and you can watch the staff as they work. This was a nice change from the usual restaurants with everything hidden behind closed walls. 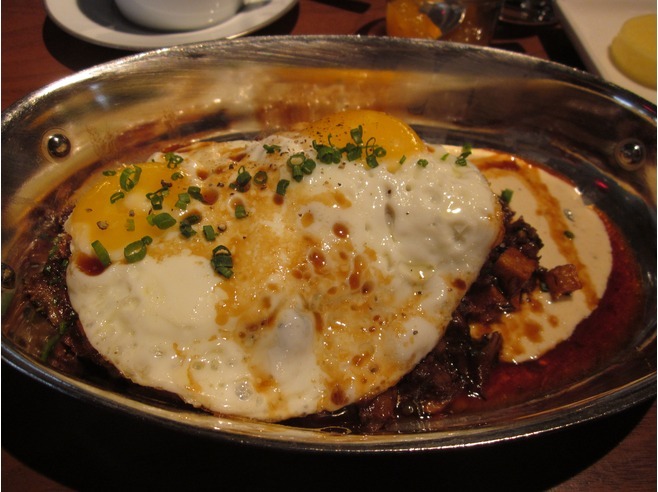 For my breakfast I chose the Short Rib Hash. This was an amazing dish. It came in a metal warming dish instead of on a plate. This meant the two eggs that were sunny side up sat on top of a small pile of the short rib hash. This did make it a touch greasy, but worked rather well actually. Mixed into the hash on one side was the horseradish sauce. Next time I’ll order extra of that as it worked well with everything I ate that morning. Simply put, even with minor tweaks I’d like to see for my personal taste, this dish was amazing. I also ordered a side of bacon for us to share and an order of rye toast that I used to make sure my dish was clean before I surrendered. To drink I had a hot chocolate which was very rich and I had to cut with some milk. It was very good, but a little too rich to use as my main drink without it. My wife ordered herself the Belgian Waffle with Glazed Pecans. She has raved about this ever since. 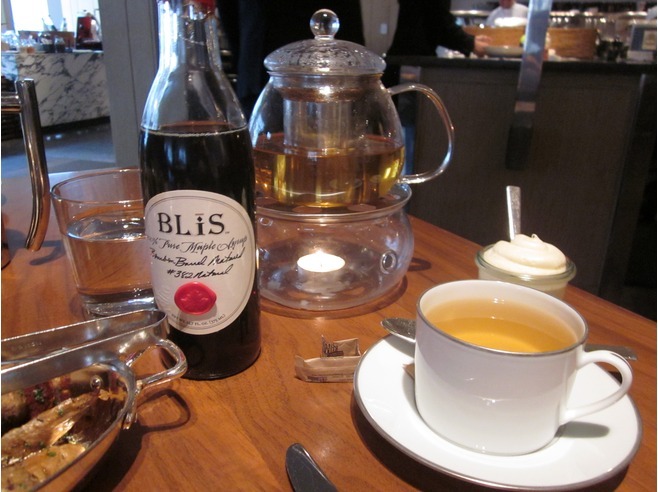 It comes with a specialty syrup called Blis that was one of the best syrups I’ve ever had. She also ordered the fingerling potatoes to share. Sliced in half and lightly spiced, they were delicious. She had a lemon grass tea for breakfast as well that reminded us both of being in the Seychelles. This wonderful breakfast was included in the stay at the hotel but I would gladly pay the $60 plus dollars it would cost plus tip to have it again if not staying at the hotel. Do be aware though that we witnessed guests being turned away for not staying at the hotel for breakfast so be sure to confirm you can get in or get a reservation if you’re not staying. Also note that if you are a Hyatt Gold Passport member you can earn points on food here whether or not you're staying at the hotel.